The Tomatin Distillery, has today announced the launch of a new Moscatel wine finished single malt Scotch whisky. Tomatin 15 Year Old Moscatel Wine Finish (46% ABV) was distilled in 2003 and has been finished in first fill Portuguese Moscatel wine barriques, for five years. Tomatin have previously experimented with a number of different cask finishes, most notably their 14 Year Old Cabernet Sauvignon and 9 Year Old Caribbean Rum expressions, which were released in 2016. 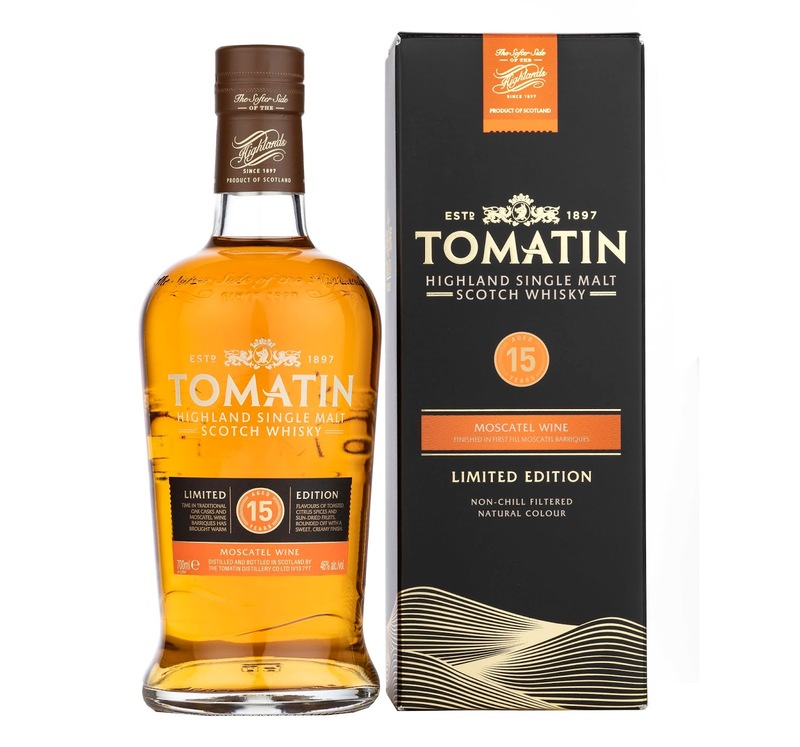 Commenting on the news, Jennifer Masson, Tomatin’s Marketing Manager, said: “We are delighted to be able to release such an interesting and unusual cask maturation to our range of limited edition whiskies. Moscatel releases are relatively rare and tend to be limited as the casks aren’t widely available – making this expression a must-have and we expect it will prove very popular with our customers who are looking for something a little different, but still typically Tomatin." 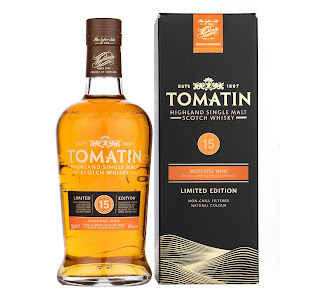 Limited to around 6,000 bottles, Tomatin 15 Year Old Moscatel Wine Finish, will be available later this month from specialist retailers, for a RRP of £75,00.